ERA promotes the international transfer of know-how between business on the one side and universities at the other side. ERA's origin is Europe: it is uniting East and West - never the less ERA aims to be a bridge to other continents and their retail/wholesale - experts too. Insofar ERA was very happy that in the beginning of 2009 it had even 37 members outside of Europe. Trying innovative steps ERA started from August 2005 onwards to add to its mission as a traditional retail research unit additionally a homepage 'AgriBusinessForum (ABF)'. For retail industry as the demand side for the academic human resources global food sourcing becomes more and more important in terms of food security/quality programs/good agricultural practice. The ABF link among the sponsors of the ERA-homepage aims towards more interdisciplinary discussions "from stable to table" involving the agribusiness into retail and vice versa. In July 2006 again the mission of ERA was enlarged by another two links: Urban Revitalisation and Forum Art Business. Especially the EU-project "Vital Cities" as well as the International Conference of Comparative Studies in Harbin/China shows that there is a great demand to bring in academics with town-planners, retailers etc.Therefore the link "Urban Revitalization" was established. 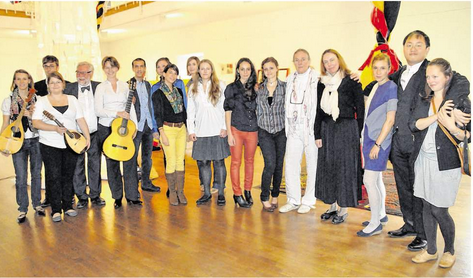 "Forum Art Business" could be seen in close relation with this: Vital Cities are always attractive for art. The quality and quantity of art business are belonging to the benchmarking of cities. In summer 2008 a special link for "Environmental Retail Management" was developed to underline the importance of the environment in decisions of retail management. An "environmental flow chart" is monitoring, benchmarking and clustering the activities of the total supply chain. 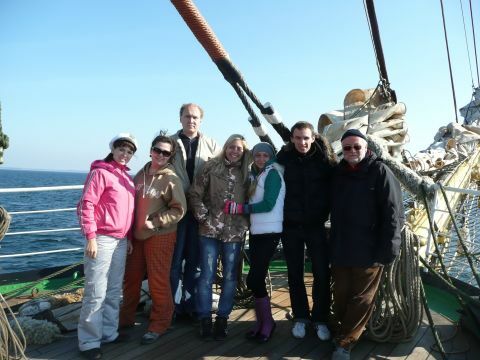 In autumn 2008 the first intercultural student workshop started on board of the Tall Ship "Kruzenshtern" sailing from Kaliningrad/Russia to Bremerhaven/Germany with participants from the Czech Republic, Germany and Russia. In January 2009 the link "Call for Papers" was launched to stimulate the multinational exchange of ideas and speakers in the field of international research. In Summer 2009 the scope of ERA was enlarged by establishing the European Competence Center for Vocational Training ( EuCVoT ). EuCVoT is the institutionalized effort to create an International Certificate for retail staff below the academic level. On the other hand ERA and EuCVoT enable now a life-long learning. 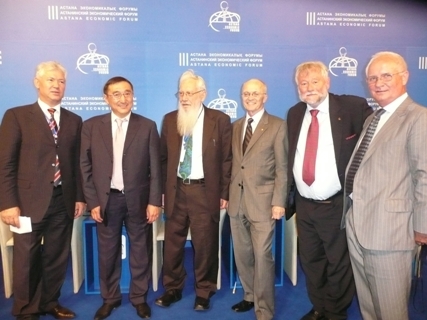 In summer 2010 and 2011 ERA supported the Yekaterinburg/Russia International Student Competition and its Eurasia Youth Trail to visit the Astana Economic Forum in Kazakhstan to meet among others three Nobel Price Winners for Economics. In 2012 the event was newly labelled as the first World Youth Economic Forum. The Nobel Laureate Prof. Dr. Aumann became member of the Hall of Fame due his fantastic support. In 2013 in the train from Yekaterinburg to the World Economic Youth Forum in Astana students drafted a declaration to focus "Green Issues" at the next meetings. The draft was signed firstly by the ERA-professors M.Fedorov/Russia and B.Hallier/Germany and then presented at the Forum. Here the Nobel Peace Laureate (2007) Prof.Dr.Rae Kwon Chung from Korea was the third professor to support this initiative. Next step was to institutionalize this activity by the internet-platform www.european-retail-academy.org/GGU. 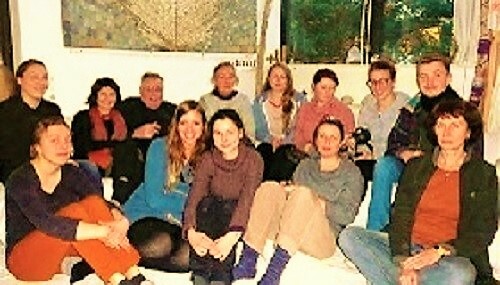 In 2014 the Dueren Student Art Exhibition of 2012 resulted in a German Special : a foundation for art and art-therapy as a vocational platform hosted by the world-wide known FLUXUS artist Mary Bauermeister at her home in Roesrath - only 15 minutes walk away from the ERA-HQ. The special runs by www.european-retail-academy.org/KTG. 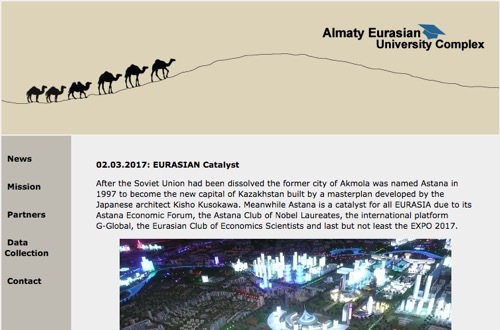 In 2017 ERA's involvement in the Eurasian Zone was institutionalized by the internet-platform www.european-retail-academy.org/AEUC : Almaty Eurasian University Complex. The AEUC will focus retail and culture along the historical SILK ROAD Cities. It is also the first bi-lingual homepage of the ERA-Network : English and Russian ! By this ERA honours the big share of Universities within the ERA-Community from the Russian speaking countries.